Are you headed to the beautiful island of Aruba? Find out what you need to bring with these six tips on what to pack for Aruba! You’ve been humming the Beach Boys hit song Kokomo for days while daydreaming of crystal blue waters, soft white sand, and fresh fruit cocktails. Your tropical dreams are about to come true in Aruba, One Happy Island! It’s likely that you’ve already bought a colorful new swimsuit to wear during your beach vacay, so we’ve rounded up a few other items that you’ll want to pack to enjoy your vacation. Just about all excursions in Aruba will be based outdoors, which means sunscreen protection is an absolute must! Aruba is near the equator so expect the sun’s rays to be particularly strong. Before you pack your go-to drugstore block, consider that typical sunblock contains a harmful, toxic chemical called Oxybenzone. This ingredient is not just bad for your skin, it also kills coral reefs and sea creatures. The damage is so immense that some coastal towns, states, and countries have actually banned regular SPF. While this isn’t the law (yet) in Aruba, it’s a healthier choice for your body and the environment to use mineral SPF. 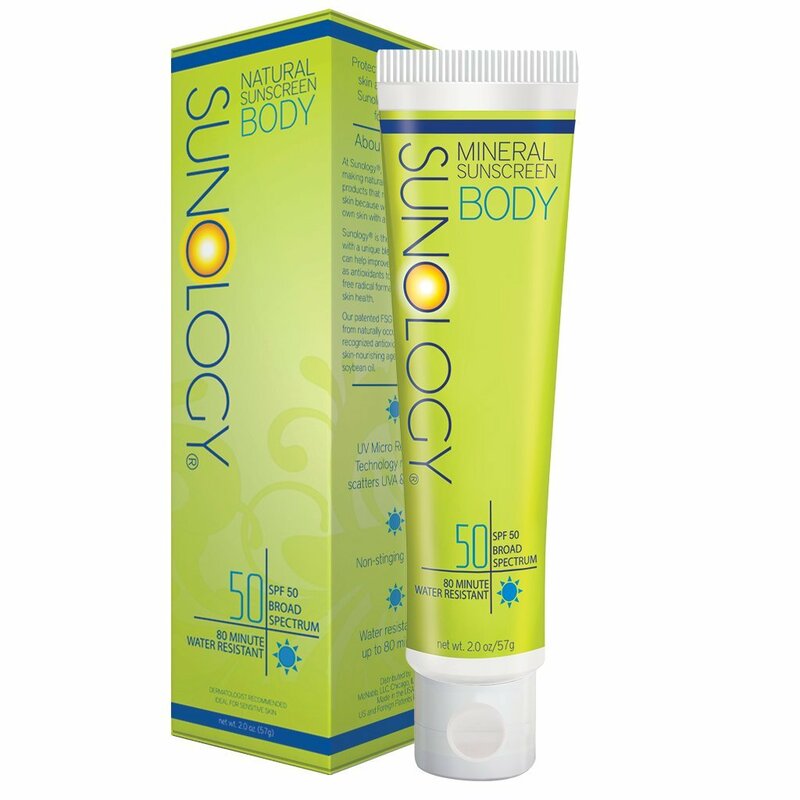 Sunology is an excellent option; it’s made of natural ingredients (no toxic chemicals) and is, therefore, biodegradable in water. 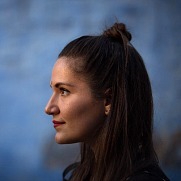 These are more natural beauty products you can take on your next trip! In Aruba, you’ll spend days beach hopping from one paradise cove to the next. My favorite beaches are the secluded Daimari beach, Arashi beach, kite surfing at Boca Grandi, or the most popular spot, Eagle Beach. Wearing your wet swimsuit can be unhealthy for your nether regions, so we recommend packing a comfortable cotton lingerie set and a swimwear bag to transport your bikini without soaking and damaging everything in your beach bag. Wander Wet Bags are gorgeous, machine washable, and made of breathable materials that prevent your swimwear from growing mildew or mold, even if it’s left in the bag for multiple days! These bags are made in the USA by a female entrepreneur and can be a game-changer for any beach vacation. The designs are so beautiful that you could even use it as a clutch for a night out! Shop the best swimsuits and coverups of the season! The brand Encircled brings a whole new meaning to traveling light. They’ve met a demand for fashionable, versatile clothing that goes beyond zip-off pants. This ultra-soft fabric piece can be transformed into 8 different looks! This is perfect since you’ll be spending the majority of your time relaxing on a beach and don’t need to pack a lot of clothes. A major bonus is that all products are made with eco-friendly fabrics in small batch productions. The ethical manufacturer even uses recyclable shipping materials and 100% recycled paper. Read my full review to learn about Encircled’s convertible wrap dress you can wear everywhere! Monogrammed hats with quirky quotes are trending among the Instagram travel stars right now, and for good reason. The wide brim protects your face and eyes from harmful UV rays and the embroidered quote sends a message to everyone around you (or following your feed) that you’re Out of Office and living your best life! This darling Do Not Disturb rendition even boats SPF 50 sun protection! A beach vacation would not be complete without long leisurely walks in the sand along the ocean under the moonlight. Avoid draining your phone battery and instead pack a renewable light source. 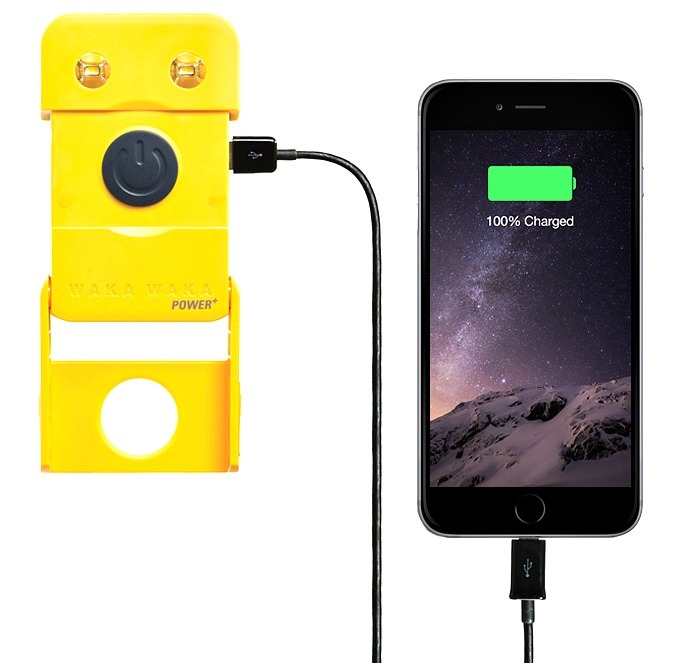 The WakaWaka solar lamp is also a device charger. You never know when you might not have access to an outlet or electricity, so this is a must-have gadget for travelers! For every WakaWaka sold, a solar light is donated to a family that doesn’t have access to electricity. If you’re going to Aruba for less than a week, we challenge you to pack in a travel carry-on bag that can double as a beach tote! 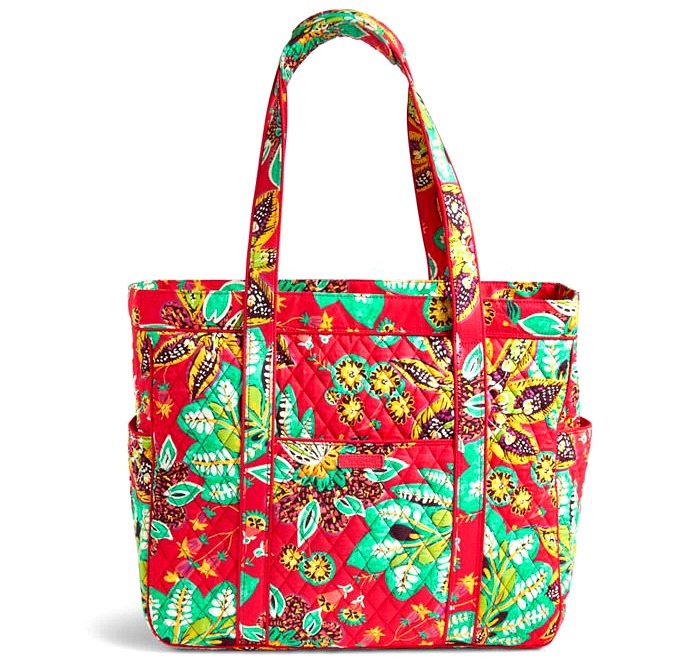 Vera Bradley offers great styles in an assortment of vivid colors and patterns. The best part of this bag is the zipper closure that will not only keep your items contained, but helps prevent theft when you use it as a day bag. There are 8 interior pockets and 4 outer pockets that will help keep you organized. Two pockets are lined with plastic, so you can safely store your toiletries. 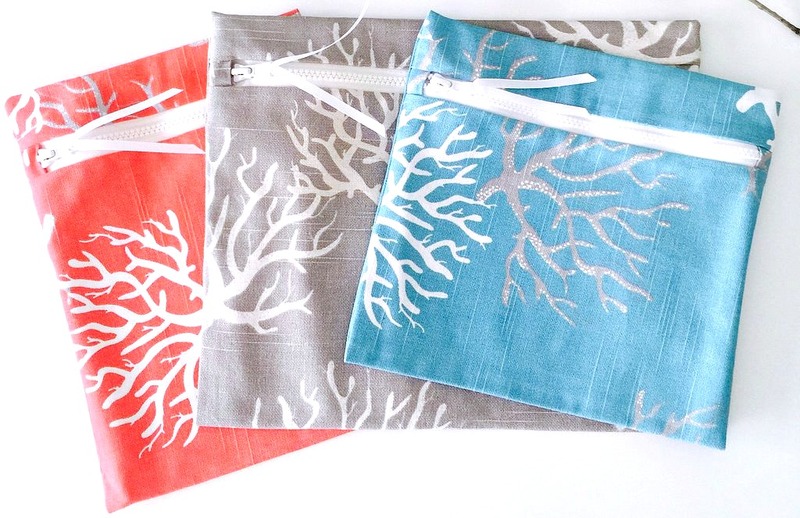 For more ideas, take a look at these beach bags and totes! Do you have any other tips on what to pack for Aruba? Please share in the comments! I hope you enjoyed this what to pack for Aruba. Please share it with your friends on Facebook, Twitter, or Pinterest. Thanks for reading! Thanks for sharing the good article. Its make a sense. The information provided are essential.